H&M Mini Haul...and Finding a Man! Welcome! I've been looking for some leather pants for a while now. We're talking almost a year folks, and I finally found a pair! 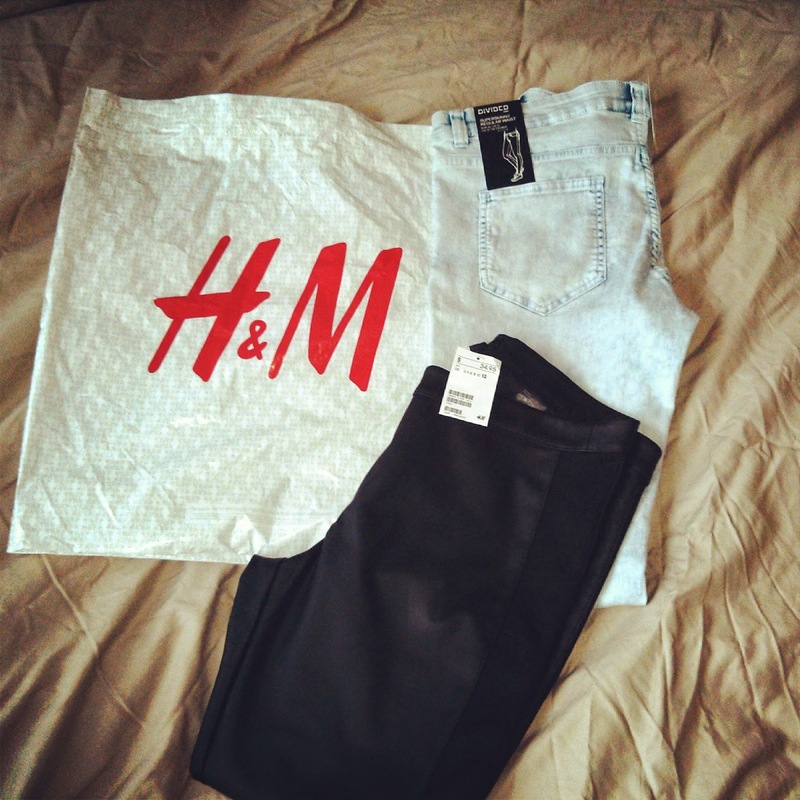 I went to H&M last week or so picked up a new pair of dark was denim skinny jeans (not pictured) and of course I browsed for some leather pants...and sadly couldn't find any. More like couldn't bring myself to pay upwards of $60 on a pair. I hopped onto their website and found a gorgeous pair, at an even better price! Retail stores often try and attract customers with phenomenal online discounts and sales in an attempt to boost sales and H&M is a perfect example of this. Tip for the Day: If you want an item, wait for it. Finding that perfect item you've always wanted is like finding a man. Don't settle, or you'll be forever miserable! You'll wear it out (or go out with him) and like it, but you won't love it. It'll never be what you dreamed of and now you're short a few bucks and have an item that isn't living up to it's fullest potential. Choose wisely folks! Looking forward to styling these items for you all soon! Enjoy!